debts, you will have taken the first step towards a debt free life! Firstly, open up your wallet and lay out all your credit cards. Now that you can see all your cards in front of you, here are some top tips for giving them a spring clean this year. This is a great tip for those of us with one card or more, transferring balances can also be used for multiple cards with small amounts of credit. Balance transfer is a great tool for helping you reduce your monthly credit card costs and ultimately reduce your debts as they cut out your interest for a set period of time. One of the major difficulties with credit card debts is that, if you pay the minimum amount every month, then you will find that some, if not most, of your payment is just going towards interest and not touching your debt at all. Balance transfer credit cards work by taking on your existing credit and then giving you an interest free period of up to 12 months, plenty of time for you to start paying back the credit that you owe. The obvious main benefit is that you will know exactly how much you're cancelling out of your debt each month, but you will also gain consolidation of multiple cards, making it much easier to control your outgoings each month. Having multiple card debts is stressful in itself and often leads many of us to try to pay them all off at the same time. Unless you have the money to pay them off in full in one go, then you will struggle. 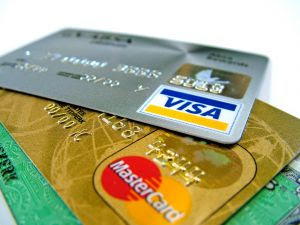 The best way to ensure that you pay all your card debts off in full is to tackle them one at a time. This needs some planning and could be added to your monthly budget to help you to keep on track. To start with, you need to know what the APR (Annual Percentage Rate) is for each of your cards. Those with the highest need to be your top priority, whilst those with the lowest can wait a while. You will need to start with the highest payment card, this will be your first to clear as it is the most costly; make a plan that will involve you paying more than the minimum on this card and the bare minimum on the others. This may mean you need to cut back in other areas of your life in order to save some money, but it will be worth it in the long run. Once you have paid this card in full, then move on to the next highest interest rate and so on. It may take a while to get them all cleared but it will be worth it in the end. OK, so this point has been touched upon earlier, but it is actually the best way to use your finances to their maximum. You will need to make enough money to cover the full card payment each month, so you should only use the card up to an amount that you can pay back in full. This will take self control, but it will mean that you don't pay any extra for you credit at all. It can also help to rebuild a damaged credit history by proving to the credit companies that you are using your credit responsibly, setting you up for the likelihood of accessible finances in the future.